The Premium trim level will likely be the popular one, and it's a good value and only a bit more than the very simple base 2.0i model. Crisply restyled, with higher gas mileage, more space inside, a nicer interior, and all-wheel drive standard, the 2012 Subaru Impreza is a newly compelling compact alternative. With the all-new 2012 Impreza, Subaru has turned a laser-like focus on making its compact sedan and hatchback more competitive and providing a better fit with what buyers really want. The small Japanese maker has thus produced an Impreza with less polarizing styling and considerably better fuel economy, competitively priced, and offering a feature no other compact offers: standard all-wheel drive on every model. 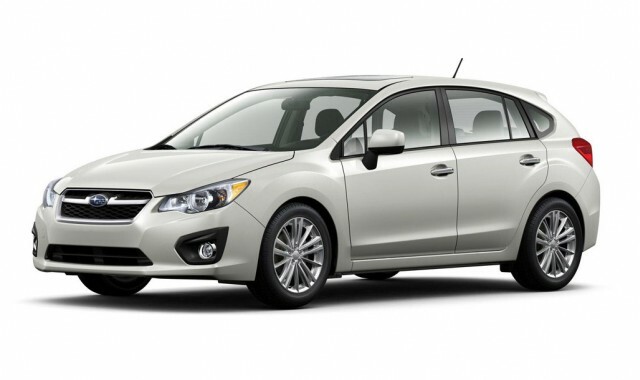 The 2012 Subaru Impreza isn’t really trying to compete with the most popular compacts—Toyota Corolla, Honda Civic, Ford Focus, Chevrolet Cruze. It’s more often cross-shopped against the Mazda3 and Volkswagen Jetta/Golf, perceived by younger buyers and empty-nesters alike as more appealing and individual choices. The new Impreza retains the Subaru hallmarks of standard all-wheel drive, practicality, and durability, of course. Company officials like to point out that 95 percent of the cars they’ve sold in the last 10 years are still on the road, and Subaru has the highest brand loyalty in the business. But the 2012 Impreza should offer a more attractive proposition for buyers who seek something sportier and more fun to drive than bland, beige, forgettable compacts from high-volume brands. 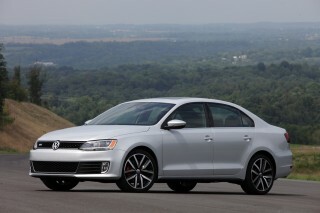 The hot-rod WRX and STi models will carry over in the older Impreza model for 2012 and 2013, according to company officials. The 2012 Subaru Impreza, with a sleeker look and all-new sheet metal, can no longer be rejected on the grounds of style. For the latest 2012 generation of Impreza, Subaru’s designers and engineers focused on the two reasons car shoppers gave for rejecting the model: styling and gas mileage. The 2012 Subaru Impreza is a handsomer vehicle with a sleeker profile, helped by a more steeply raked windshield, a higher seating position, and a lower waistline. The new Impreza is hardly fashion-forward, but it is no longer dowdy or awkward. At the front, Subaru has returned to its traditional trapezoidal grille after recent flirtations with a variety of inconsistent grille shapes and styles. Along with “hawkeye” headlights, the Impreza at last gains a face that is recognizably related to the better-known Outback crossover utility. Along the sides, exaggerated wheel arches nod to the Outback, but also serve to break up the height of the flanks. The only disappointing area of the 2012 Impreza is the side view of the front fenders, where the wheels appear a size too small for the tall cowl and substantial front overhang. The four-door sedan can come off as tall and stubby from some angles, but the five-door hatchback is quite neatly styled at the rear. A number of Impreza details echo other cars—the front hood line has a touch of Chevrolet Cruze, the taillights a hint of 2012 Honda Civic, the sharply defined bumper edges recall the Chevy Volt, the hatchback roofline evokes the Dodge Caliber—but the overall form is far crisper and more coherent than the 2007-2011 Impreza it replaces. Attention to smoothing air turbulence and a longer undertray also reduce air drag, which helps with that other issue: gas mileage. Inside, the 2012 Impreza is straightforward and functional. A half-oval cowl in front of the driver covers the speedometer and tachometer, with a square digital display screen between them. At the top of the center of the dash, an eyebrow cowl shades a wide multifunction display where less mission-critical data is displayed in larger and easier-to-read type. Modest matte silver accents divide the top dash and door surfaces from the vertical lower portions. While dash-top surfaces in all Imprezas are black, some models offer a two-tone interior in which lighter-colored lower dash surfaces match the upholstery—greatly lightening the interior. Overall, the Impreza offers a sensible, no-nonsense cabin with few extraneous frills or electronic distractions. Only in a few places does the design come off as cut-rate; the plain, flat silver gear-shift surround is one, the plain black radio surround is another. The 2012 Impreza has neither the fashion-forward shape of the Ford Focus hatchback nor the interior panache of the Chevrolet Cruze’s twin-cockpit dashboard. But having lost the gawkiness of the last generation, it’s also no longer the wallflower at the ball. 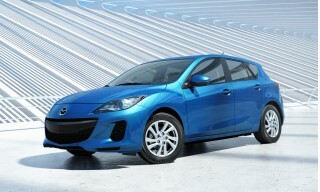 Shoppers who rejected the last model out of hand for its appearance are likely to give the 2012 Impreza a second look. An all-new engine and transmission keep the 2012 Subaru Impreza fun to drive, with better MPGs too. Along with its all-new styling, the 2012 Subaru Impreza comes with a brand-new powertrain. Subaru has replaced its old 2.5-liter flat-four with an entirely new and redesigned 148-horsepower 2.0-liter engine, still horizontally opposed, that produces similar power from 20 percent less displacement—with corresponding benefits in fuel efficiency. The CVT is electronically controlled to keep the engine operating at maximal efficiency regardless of what the driver asks the car to do. Subaru has tuned it for better acceleration off the line, from 0 to 60 mph, and even in the 50 to 70 mph range crucial for safe passing. At the same time, the company has mostly avoided the usual downside of CVTs; the engine rarely races up to peak revs without a corresponding increase in road speed. All models except the base Impreza 2.0i offer paddle shifters behind the wheel (they're optional on Premium models, standard on the Limited trim level). The paddles let drivers “shift down” one or two simulated ratios in a “six-speed manual mode” to get the engine output up before speedy acceleration is needed for passing or long hills. The 2012 Impreza will run out of steam when heavily loaded under maximum acceleration, but as with the 2010 Outback model that introduced Lineartronic, the company has kept the CVT annoyance factor low. One unexpected feature of the CVT is the simulated engine braking on downhill stretches. It’s a good-news/bad-news quality: The good news is that the transmission keeps the car traveling at a consistent speed, avoiding that inadvertent 10-mph increase that can make the difference between traveling at the speed limit and a pricey ticket at the bottom of the hill. The bad news is that the simulated engine braking kicks in quickly, making the driver feel like the car drove into a pool of molasses that is dragging on its tires. We hope Subaru’s engineers will tweak their software a bit to make the transition less abrupt. 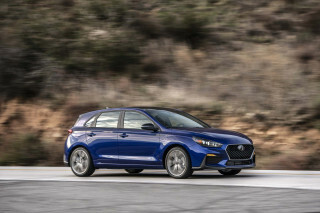 Subaru engineers claimed that their goal was to make the 2012 Impreza “best in class for Fun To Drive,” and while it faces tough competition in the Mazda3 and VW Golf, it’s a viable competitor for that title. The boxer engine gives all Subarus a low center of gravity, and the Impreza is flat in cornering, accelerating neutrally out of corners with little discernible understeer—unlike virtually all of its front-wheel drive competitors. Despite new electric power steering, the Impreza retains decent feedback at the wheel, though it’s not quite as eager and agile as the Mazda3. Brakes are progressive, as is typical for Subarus, but haul the car down from speed without fuss. Overall, the Impreza’s handling is admirably drama-free, inspiring confidence when pushed and doing the job without fuss otherwise. For the 2012 Impreza, Subaru has put a lot of effort into making the no-nonsense cabin a nicer place to spend time. The length, width, and footprint of the 2012 Subaru Impreza are almost identical to the model it replaces, but the designers focused on increasing usable interior space. The wheelbase is almost an inch longer, the door openings are much larger, the interior door panels offer more shoulder and elbow room, and rear-seat passengers gain fully 2 inches of legroom. Along with new front seats whose backs have been slimmed and scalloped, even six-foot rear-seat passengers can travel comfortably in the rear seat. And they’ll find getting in and out far easier to boot. Befitting its practical, hey-let’s-go-kayaking-and-spelunking-today image, Subaru enlarged the hatch and trunk openings in the latest Impreza. 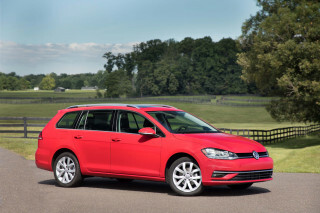 The five-door hatchback can accommodate a medium-sized dog carrier or a mountain bike with its front wheel in place, and the engineers even scalloped the headliner to accept not one but two mountain bikes, standing upright (with front wheels removed). A redesigned, smaller fuel tank lets the rear seat to fold flat for the first time, which the company says boosts cargo space 15 percent in the five-door and 6 percent (to 12 cubic feet) in the sedan, despite having to accommodate a rear differential and driveshafts for all-wheel drive. And Subaru is proud of the roof rack on the five-door, which accepts many standard roof carriers. Subaru also put effort into making the 2012 Impreza cabin a more pleasant place to spend time, with soft-touch materials now covering the majority of the dashboard and center console. (At the launch, executives tossed in a few mildly caustic references to “some competitors” in the compact segment that have moved the other way by down-speccing their materials, clearly a dig at the sub-par surfaces of the 2012 Honda Civic). The controls are mostly simple and intuitive, with large round ventilation knobs and a particularly neat optional navigation system integrated into the radio. The 2012 Impreza isn’t the quietest compact car—that honor almost surely goes to the hushed interior of the Chevrolet Cruze—but it’s perfectly competitive. Only two things keep it from higher ratings: One is wind noise from around the door mirrors, long a Subaru weak spot. The other is tire roar on certain surfaces. The Impreza’s low-rolling resistance tires go mostly unnoticed, holding the road fine and staying quiet. Until, that is, the car travels onto rough asphalt surfaces, some of which prove to generate remarkable tire roar. It only happens occasionally, but it’s noticeable when it does. The new Impreza interior does offer a useful variety of bins, trays, cubbies, and cup holders, along with a pair of 12-Volt power outlets and (except on the 2.0i base model) a USB jack. Even the door armrests include cutouts to pull them closed that were designed to hold mobile phones. The 2012 Subaru Impreza is likely to continue the brand's impressive track record of high safety ratings. Safety has long been a Subaru hallmark, with the brand’s cars almost uniformly achieving top crash-test ratings. While it hasn’t yet been rated either by the National Highway Traffic Safety Administration (NHTSA) or the Insurance Institute for Highway Safety (IIHS), the 2012 Subaru Impreza is likely to continue the string of top ratings. In addition to long-standard anti-lock brakes and the usual array of electronic safety features, for 2012 Subaru has added a seventh airbag to protect the driver’s knees. Also new for 2012 is brake override, which cuts power to the engine if both accelerator and brake are depressed simultaneously—a response to Toyota’s “sudden acceleration” safety issues of the last two years. Admirably, Subaru has also worked to improve visibility from the driver’s seat, both slimming the windshield pillars and reducing the blind spots at their bases. With front-seat occupants sitting almost an inch higher in the new model, a lower dashboard, and a side-window “shoulder line” 2.4 inches lower, the driver has good visibility in most directions—which is not the case in a distressing number of new models designed to meet increasingly stringent roof-crush standards. The door mirrors are also 20 percent larger, and provide a full field of rear view, again unlike many competitors. Our one safety complaint is that the control to cycle through the different modes on the central multifunction display is a stalk on the right side of the instrument cluster. No other car we’ve ever tested has put the control there, which requires an awkward reach through or around the steering wheel. That’s simply unsafe is the car is moving, and the control should be moved to the steering wheel or a more accessible position on the dashboard. 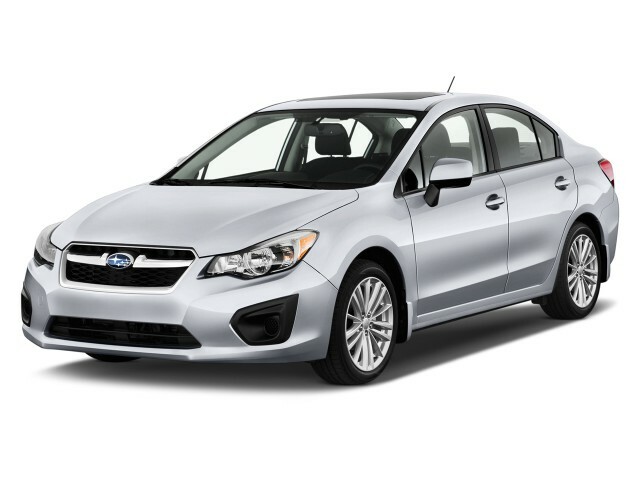 The 2012 Subaru Impreza offers new Limited and Sport models along with less expensive alternatives. The 2012 Subaru Impreza comes in three basic trim levels. The base 2.0i starts at $17,995 for the sedan—the hatchback adds $500 to every price level—which is unchanged from last year’s model. 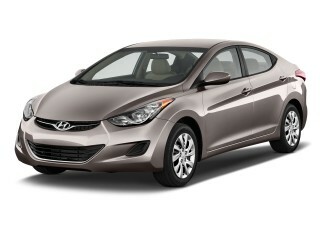 Then there’s the intermediate 2.0i Premium, at $18,975; and new for this year, a high-end 2.0i Limited model as well. Last year’s Impreza-based Outback Sport model, with contrasting wheel-arch paint and a few other trim differences, is gone. Instead, an Impreza Sport model offers a more tuner-friendly Impreza, with platinum-gray wheels and other trim variations. 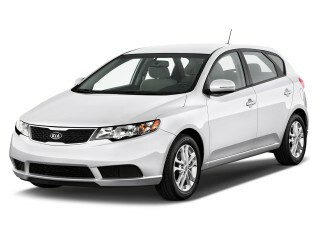 The top of the range is the 2.0i Sport Limited, starting at $22,595. Subaru adds a mandatory delivery charge of $745 to all prices. The 2.0i Premium model adds 16-inch aluminum alloy wheels, a six-speaker single-CD radio with Bluetooth streaming, hands-free mobile phone integration, a USB port, and iPod integration, along with steering wheel switches for audio and phone control. Other upgrades include fog lights, cruise control, a rear-suspension stabilizer bar, and a cargo cover for the load bay in the hatchback. The Limited trim level adds 17-inch alloy wheels and the CVT with 6-speed manual mode and paddle shifters as standard, plus leather seat upholstery, automatic climate control, auto on/off headlights, an AM/FM/CD stereo with HD radio, and some trim options. Four sound systems are available across the various models: standard, premium, a Display Radio with a 4.3-inch screen, and a Navigation Radio that neatly packages a navigation system that displays on a 6.1-inch LCD screen. Starting price may be a hair under $18,000, but a five-door 2.0i Sport Limited with the CVT we tested stickered above $25,000, including the $745 destination charge and a flat $2,000 for a moonroof and Navigation package. For 2013, Subaru will launch an as-yet unnamed model with higher ride height and more distinct styling, based on the XV model just introduced in Europe. With gas mileage ratings 30 percent higher this year, the 2012 Subaru Impreza is the most fuel-efficient AWD car on sale. While a 30-mpg combined gas mileage is far from the best available in the compact car segment, it’s the highest rating for a gasoline all-wheel drive vehicle. The new engine and transmission combine with a weight reduction of 110 pounds to improve gas mileage considerably over the previous generation. Fitted with the continuously variable transmission, the 2012 Impreza sedan and hatchback are expected to earn EPA ratings of 27 city, 36 mpg highway, for a combined 30-mpg rating, a 30-percent improvement over last year’s figures. 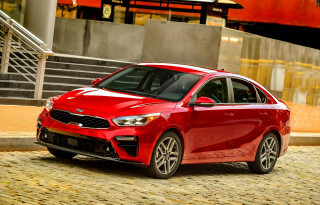 (Subaru points out with pride that the combined figure is better than both the subcompact Mazda2 and the Fiat 500 minicar fitted with an automatic.) Those numbers fall slightly, to a combined 28 mpg rating, for buyers who opt for the five-speed manual transmission. The boost in gas mileage ratings also gives the 2012 Impreza a substantial cruising range of 523 miles, up 67 miles over the previous model, despite the smaller gas tank that allows a flat load floor with the rear seat folded down. The 2012 Subaru Impreza is also clean enough to earn the designation of Partial Zero-Emission Vehicle, or P-ZEV, which no Impreza to date could claim. Some carmakers only offer PZEV vehicles in the states that follow California’s stricter emissions standards, but Subaru has chosen to make it standard for all 50 states—complete with a “PZEV” badge, which includes a green leaf, on the trunk lid or hatch. Our car is black. The clear coat has hundreds of small pits in it. We were told it was from parking under a tree. I guess the paint Subaru uses isn't tree proof. Our Toyota parks in the same spot and has no... Our car is black. The clear coat has hundreds of small pits in it. We were told it was from parking under a tree. I guess the paint Subaru uses isn't tree proof. Our Toyota parks in the same spot and has no problem. We got a car with the defective stereo problem Subaru had. It took three trips to the dealer and several calls to Subaru to get it fixed. The worst part of this car is it rattles!!!! Been to the dealer twice and and still rattles. Rattles all the time, a gentle turn to the left and it makes a rattle in the dash louder. A turn to the right and it stops. After the new streo was installed the trim around the heater switches rattles now.